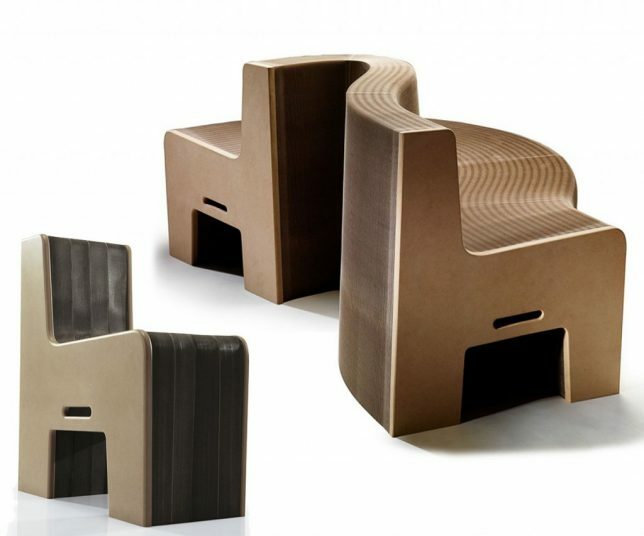 What starts as a flat, stackable, highly portable package expands more than ten times its original size when you pull on either end, bending and curling to become a sofa for a group. 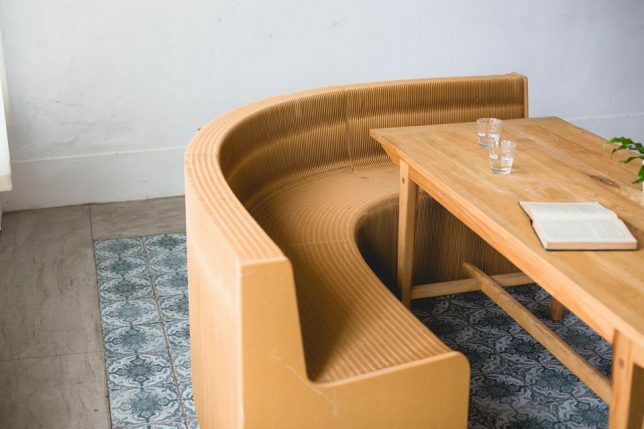 The Flexible Love Sofa and Chair are made from 100% recycled paper, yet they’re surprisingly strong, with the longer sofa holding up to 4,232 pounds at once when fully expanded. 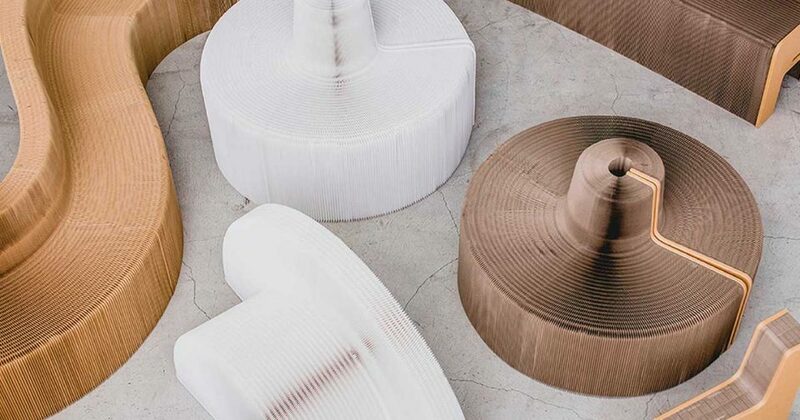 Designed in Taiwan, the series is available in ‘marble’ white, ‘lava’ black and ‘earth’ brown, and measures just over 5 inches across when collapsed. The Flexible Love company shows off what the seats can do in a series of videos, so you can see it in action. It looks remarkably easy to manipulate, and somehow stays in place when you curl it into an S-shape or bend one end to the ground. If you’re skeptical that it can really hold as much weight as the company claims when expanded to its full 30-foot width, they’ve provided several images in which a group of people all stand on the seat at once. 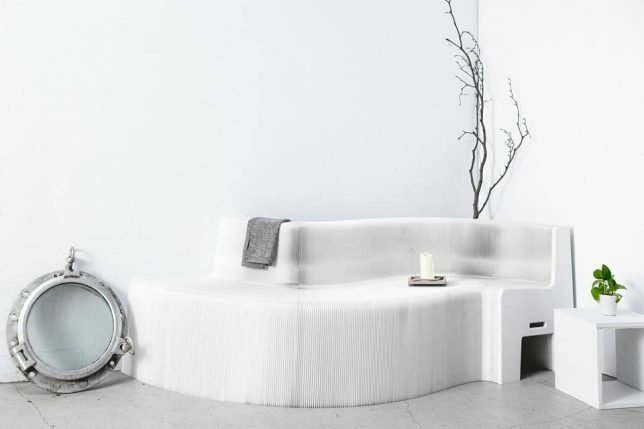 With furniture like this, you’d never need to worry about accommodating extra guests again. It’s fun to see the different ways in which it can be arranged around tables. Each piece is hand-crafted of FSC-certified materials, assembly-free, recyclable and made with non-toxic finishing. 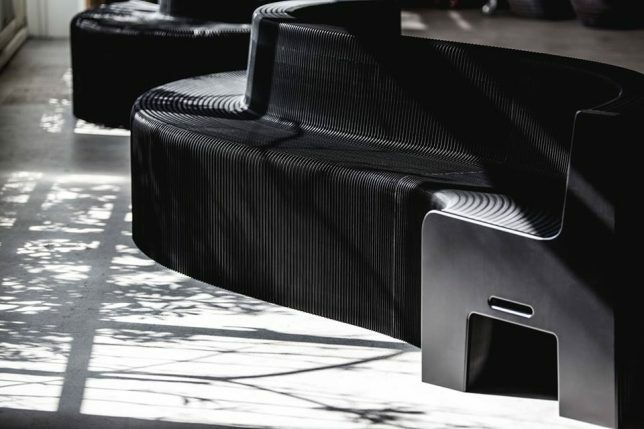 Though the Flexible Love website is currently down for maintenance, you can purchase both the sofa and chair model at Expand Furniture in the meantime, with prices starting at $380.